A new Yutong E12 low floor electric route bus has been selected for a six month trial on the NSW South Coast as part of a state government commitment to ensure at least 10 per cent of new vehicles on the government fleet are electric or hybrid powered, starting in 2020/21. The new Yutong will be operated by Premier Transport Group on a route from Bombaderry rail station to Kiama rail station on weekdays . The bus was unveiled at a function at Sydney University last week as part of an event held by the NSW government with both the. NSW Minister for Roads, Melinda Pavey and the NSW Minister for Transport and Infrastructure, Andrew Constance announcing the State’s Electric and Hybrid Vehicle Plan. The Yutong deal was done by Cairns based Yutong dealer, ABC Bus Sales and its GM Barry Henderson. 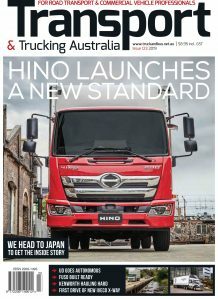 Barry Henderson told Truck and Bus News that the deal for the trial of the Yutong electric bus took about four months to complete and came after an approach from Premier Transport Group to source an electric city bus for the specific trial route on the NSW South Coast. “Premier had dealt with us before and they asked about a Yutong electric bus and it went from there,” Barry told us. “We had the specs for the route which is around 40km each way between Bombaderry Rail and Kiama Station and requires the bus to do around 280 km on a single charge and we worked with Yutong to source the correct bus for the job,” said Barry. 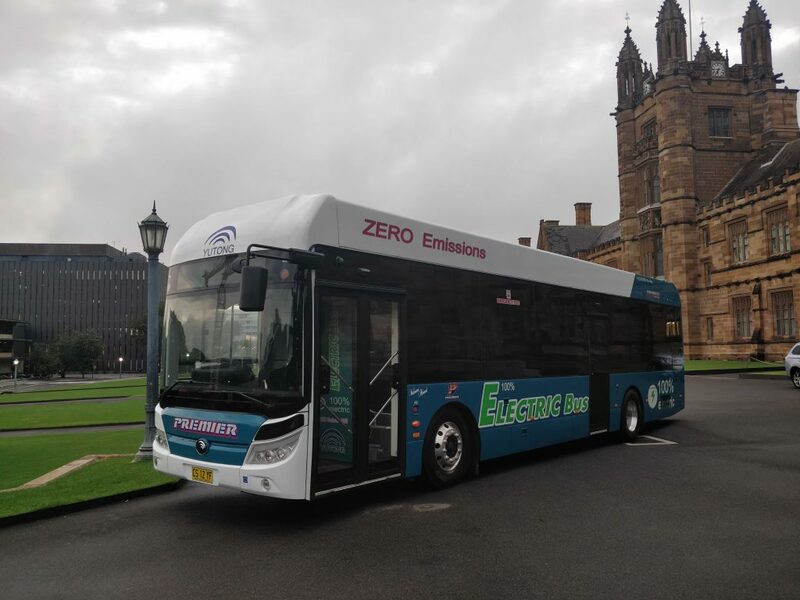 “Premier told us the idea of the electric bus trial was to gather as much data in regards to all aspects of operations in Australian conditions to enable everyone involved to evaluate all the issues from future needs and direction, operational demands and cost,” said Barry. Barry Henderson said that the bus had been tested before going onto the trial and easily handled ambient temperatures up to 39 deg Celsius as well as in head and cross winds and showed it could travel up to 285km on a single charge. Compliance, workplace safety and contract manager for Premier Transport Group, Greg Abel said the company believed the Yutong E12 electric was the best bus for the trial and the company had worked closely with Yutong, Yutong Australia and ABC Bus Sales to bring the project to fruition. “Premier Transport would like to thank Yutong and Barry Henderson and technical team for provision of the electric bus to enable the trial to go ahead,” he said. “This is a very exciting time and is a new frontier for Premier Transport Group,” he added. Yutong launched the 12 metre full electric low floor E12 city bus in late 2015 and claims to be the first Chinese bus maker to develop a full electric bus. The company says that to date it has delivered over 22,000 ‘new energy vehicles,’ including 8,000 full electric buses running in more than 140 cities around the world. Yutong claims its E12 adopts the company’s unique intelligent electric drive technology platform – ReCtrl, which has drive management, whole vehicle CAN control and remote technology built in. In announcing the government’s commitment to increasing its electric and hybrid vehicle fleet roads minister Pavey said it means NSW will have the largest government fleet of electric and hybrid vehicles in Australia. “It sends a clear signal of confidence to electric vehicle manufacturers and local consumers will also benefit by greater access to a wider choice of affordable electric vehicles in the future,” Minister Pavey added. An important part of the plan is the development of electric bus services, such as the Premier Yutong Trial, with a number of other trials to begin shortly, led by the private bus industry and government. The NSW plan includes a $3 million co-investment in fast charging points for electric and hybrid vehicles on major regional corridors, and $2 million for new charging points in commuter car parks. The NSW Government has also released its five-year plan for connected and automated vehicles.